Celebrities like Pharrell Williams are helping achieve the UN’s Global Goals. Throughout his career, Pharrell has supported education, inspired young people, and helped spread positivity. You can join us in taking action on this issue here. Pharrell, of course, is uniquely positioned to talk about happiness. His hit song, “Happy,” topped the charts in 22 countries around the world, and became the soundtrack for the movie Despicable Me 2. It’s been used in commercials for cars, headphones, and even became a “protest anthem” in countries like Ukraine, Tunisia, Moscow, and the Philippines. 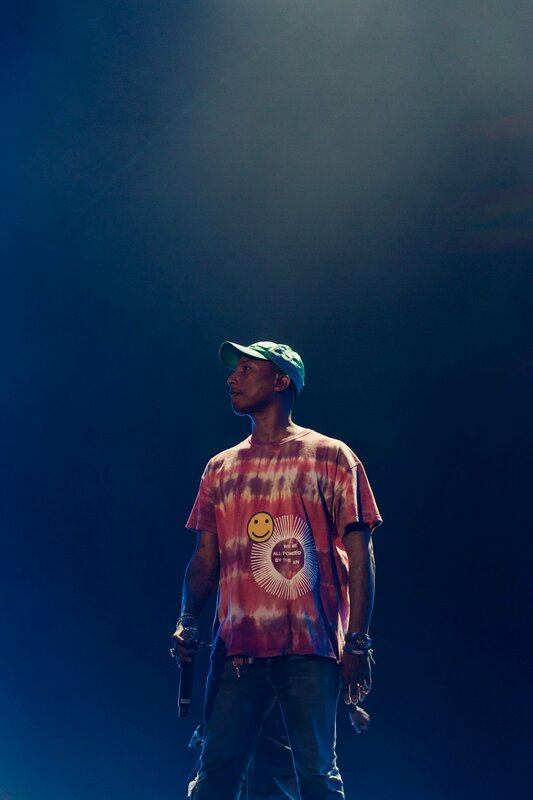 Pharrell knows happiness because he lives it, and because he finds it in music, he said. And for the past decade, Pharrell has done everything in his capacity to bring happiness to as many people as he can — whether that’s through fighting for the planet, encouraging political engagement, promoting educational empowerment, or championing women’s rights. 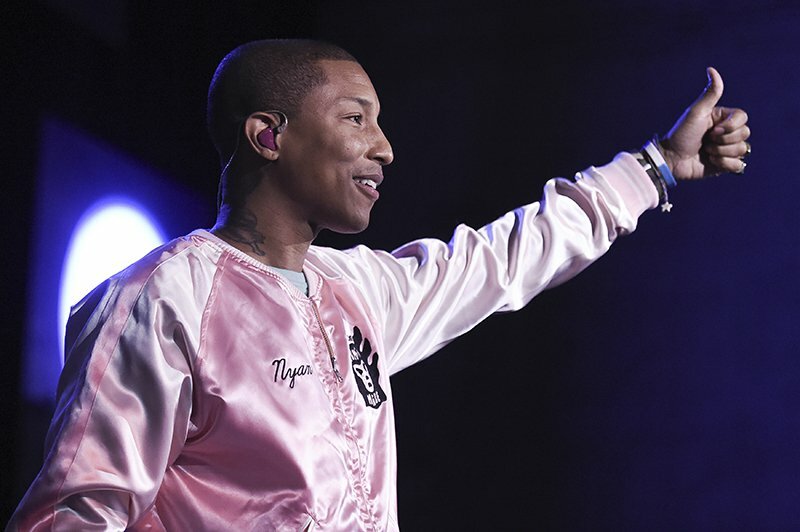 Pharrell, a Global Citizen Festival veteran, has used his influence as a musician to become a super activist, and on Dec. 2, he will bring his joy, passion, and his compassion to the Global Citizen Festival Mandela 100, presented and hosted by the Motsepe Foundation, in Johannesburg. 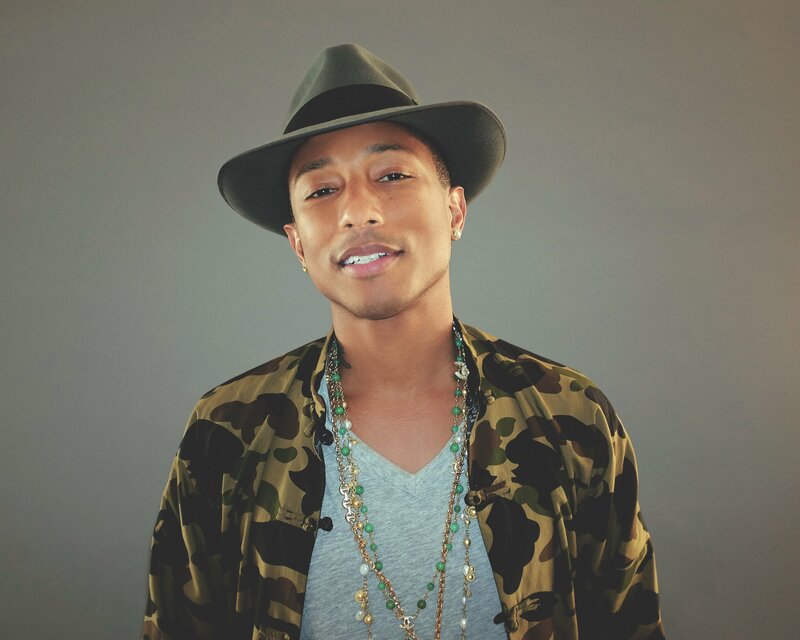 Pharrell was born in 1973, and grew up in Virginia Beach, Virginia, as the eldest of three brothers. He was born with synesthesia, according to GQ, which means he sees colors when he hears sounds. “When he thinks about his childhood it comes back to him burgundy and baby blue, in strings of numbers and letters,” GQ’s Zach Baron wrote in a profile. His was a musical childhood, inspired by the beats of A Tribe Called Quest and Timbaland. But it also had its challenges. “I lived in Normalville USA and I didn't look like the average kid,” the artist said of his youth. He found an outlet making beats and producing songs with Chad Hugo, a Filipino whose father was in the Navy. Together they formed The Neptunes, and later N.E.R.D., and would go on to produce music for the likes of JAY-Z, Shakira, and Usher. Pharrell produced his first solo album, In My Mind, in 2006. The album, which included guest performances from Gwen Stefani, Snoop Dogg, and Kanye West, brought together pop, funk, hip-hop, and soul. It debuted at No. 3 on the US Billboard 200 — selling over 100,000 copies in the first week. He wouldn’t release another album until 2014. In that time he scored the blockbuster film, Despicable Me, collaborated with Madonna, and went on tour with Gorillaz — to name just a few things. As he’s aged, Pharrell’s music and lifestyle have become entwined with his activism and charity work. In 2008, Pharrell founded a nonprofit, From One Hand To AnOTHER Inc. (FOHTA), with the mission of promoting a new vision for the US educational system called S.T.E.A.M.M. (Science, Technology, Engineering, Arts, Mathematics, and Motivation). FOHTA organizes six-week summer camp programs for 1,000 low-income students across six states — Virginia, Florida, Arizona, California, Missouri, and New York — with a focus on learning through and with technology. In 2011, the artist poured $35 million into the Pharrell Williams Resource Center, which provides a space for underprivileged Virginia Beach students to stay after school and study. Looking like a magical treehouse of sorts, the resource center’s design is intentional — a means of inspiring learning in an unconventional setting. In 2018, the star performed at various charity fundraisers for lifesaving children’s efforts, including the UNICEF Ball and the Children’s Hospital Los Angeles From Paris With Love Gala. He also launched a sneaker line inspired by African culture, which he hopes will motivate youth. “Whether it’s inspiring a kid to not be quiet about what they believe in or encouraging a kid to go out and play tennis, both are a success,” he told GQ. Not only does Pharrell believe in the power of youth to create change, he also knows that girls and women hold the key to a happier, healthier world. Pharrell dedicated his second album, G I R L, to the women in his life. In 2017, the artist gave a powerful speech at New York University’s graduation about the importance of lifting women up. He has also spoken eloquently about the need for activism in other walks of life. 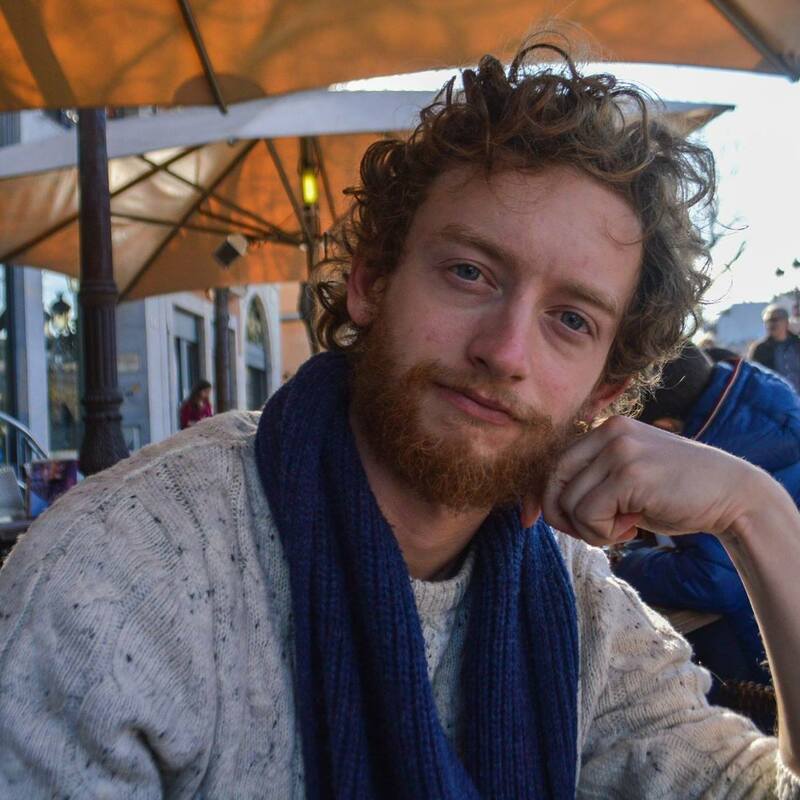 “The days of being an anonymous activist or participant are over. How can we inspire if we are only behind the scenes?" he asked in the NYU speech. 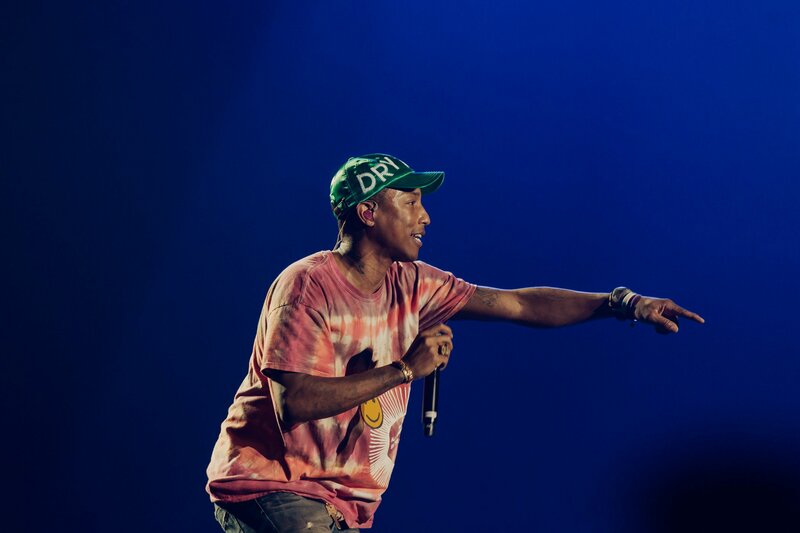 In a similar vein, Pharrell was active in the 2016 election, urging young people to make their voices heard by getting out and voting. At a concert in Milan, Italy, in 2015, he spoke out for migrants, dedicating his song “Freedom” to the Syrian and North African migrants crossing the Mediterranean Ocean in search of better opportunities in Europe. But perhaps his most vocal activism has a lot to do with the present, and everything to do the future: the fight against climate change. Just like he’s done for his music, Pharrell has collaborated with a wide range of people and organizations in the fight against climate change. That includes Al Gore, with whom he organized a 24-hour global concert, called “Live Earth” aimed at creating global solidarity in the fight against climate change (and which was canceled due to the terrorist attacks in Paris that fall). Pharrell also worked with the fashion brand G-Star Raw to produce a line of clothing made from recycled ocean plastic. Along with his plea to leaders at the COP21, he has spoken about climate change at UN and made a cameo in Al Gore’s documentary An Inconvenient Sequel. Maybe Pharrell’s climate activism has something to do with his own future, as well. He named his first child Rocket Man with the future in mind. “In the same way the Indians named their children after a force or animal or element, we named him after a man-made machine that was meant to go up, meant to ascend,” Pharrell told Oprah in 2014. Now the father of four, including triplets, Pharrell will be ascending to the Global Citizen stage on Dec. 2. This piece was originally published on Sept. 12, 2017, and has been updated.